The meet had one key purpose, but served many. At the forefront, the 1st ever Maria Michta-Coffey Race Walks was an avenue for local athletes to hit the Penn Relays entry standard. 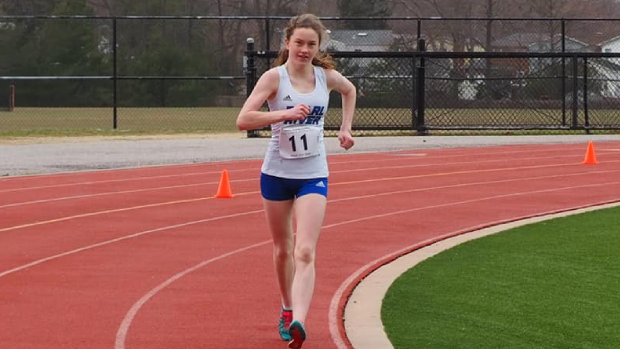 Racewalk is the first event on the track at the legendary Penn Relays, but the event provides a slight program for New York Scholastic athletes. The distance walked there is 5000m, also accepting the 3000m equivalent, but the Scholastic Distance Indoors for NY is the 1500m. So the MMC-RW meet was devised to solve that issue. 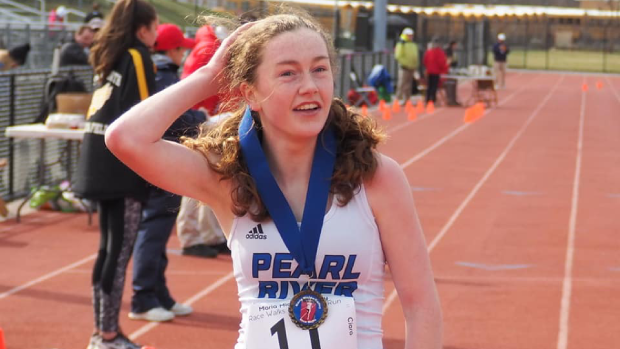 Entered front and center was Ciara Durcan, a Pearl River sophomore who broke the Indoor 1500m Sophomore State Record this Winter. Opting for the 3000m variant, Durcan added to her legacy, clocking in a 14:38.63. Unless informed otherwise, that stands as a new NY State Sophomore Record for the event, as well as US #15 All-Time, and NY #4 All-Time. The mark obviously qualified her for the Penn Relays, where she will most likely be going up against Indoor National Record Holder Taylor Ewert (Beavercreek, OH). The NY State Record for the 5K distance is held by Lisa Kutzing at 23:38, but a Sophomore Record has been hard to track down. Either way, Durcan is on a path to rewrite the recordbooks. All-in-all, thirteen athletes were able to hit the Penn standard with the addition of this event. Full results for the HS distances found here. Photos provided by Sachem North High School Track and Field FB page.